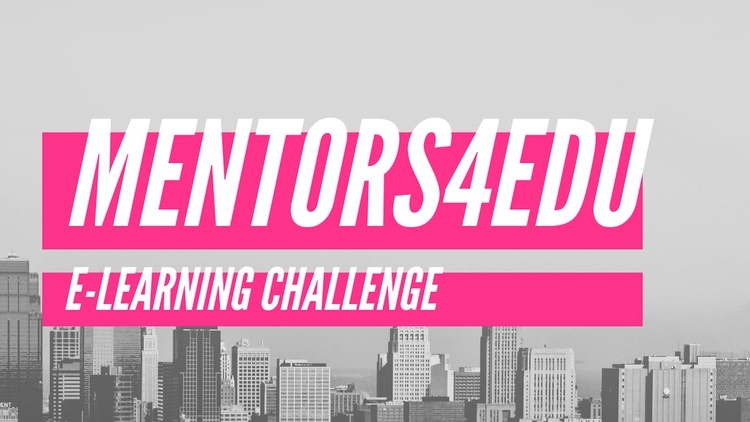 Applications are invited for the Mentors4EDU Global E-Learning Challenge 2019. The Global E-Learning Challenge aims to seek the most disruptive ideas for online learning. The Challenge seeks unique and innovative projects that do so. They welcome entrepreneurs, researchers, scientists, students, and anyone eager to contribute, to jump into this challenge and to find a solution. To register, click here to accept the challenge . The Challenge Forum is your space to share thoughts and ideas with potential competitors or to create teams with similar visions. For more information, visit Mentors4EDU Global E-Learning Challenge. Currently, especially in the US the cost of college is rising higher than the cost of inflation. Lots of open MOOCs are being more saturated or seemingly more expensive and hard to come by. In the world of e-learning, credibility, certification, and universal accreditation is difficult to find. A large skills gap is effecting many third world countries. Be scored higher than your competitors! Innovativeness of Approach: How does the proposed solution differ from existing solutions addressing this problem? How is the solution innovative or novel? Quality of Solution: Is the solution substantiated, well-reasoned, and realistic? Are the assumptions justified and backed by thorough discussion, design, and conclusions? Points awarded for the team’s ability to present its solution in a complete, cohesive, and convincing manner. Viability: How capable of working successfully is the proposed solution? Is the robustness of the solution’s proposal supported by proof or demonstration of concept, pilot/test trials, and/or simulations to substantiate that the technology is or would be operable and feasible? Impact: Does the solution consider the improvement in the quality of life for individuals, people around them, and the community overall? Does the entrant state the improvement, for whom, and how the solution will increase quality of life? Implementation: When transitioning from theory to implementation, how practical is the viability of implementation, relative to the scale of the solution? Does the entrant state the resources, timing, and any private or public partnerships needed? To register, click here to accept the challenge . The Challenge Forum is your space to share thoughts and ideas with potential competitors or to create teams with similar visions. For more information, visit Mentors4EDU Global E-Learning Challenge.